Whenever Jeff Kelly takes a break from piloting Seattle’s Green Pajamas on their world tour of uncharted psych/pop waters, he likes to collaborate vocally with a woman. Until now that person has been GPJ alternate lead singer Laura Weller in a partnership called Goblin Market. Kelly didn’t have to venture far from the home fires for his most recent female vocal foil. With his wife Susanne as an equal partner, the pair has come up with By Reckless Moonlight (Green Monkey), a little gem that visits places no Jeff Kelly LP has been before. Susanne may insist she’s not really a singer, but her voice knows just the right moves to counterbalance Jeff’s ethereal sound from a previous lifetime. 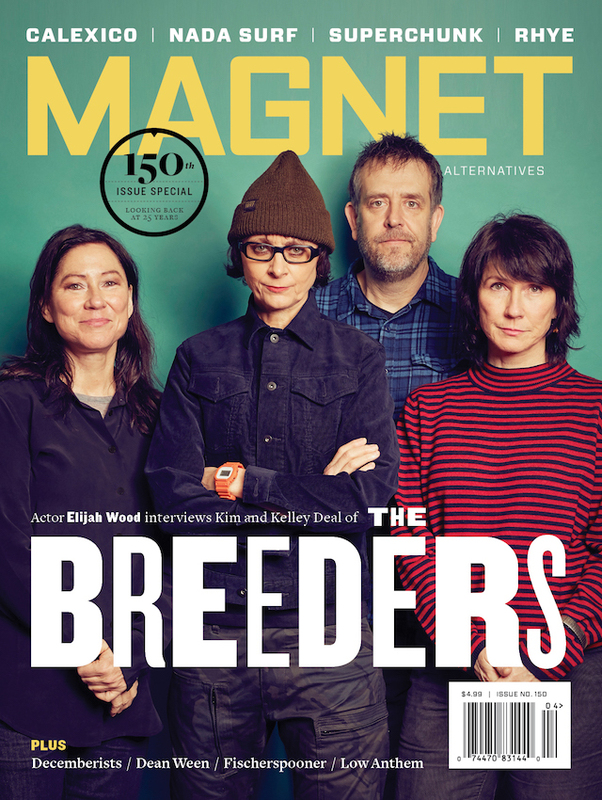 The Kellys will be guest editing magnetmagazine.com all week. Read our recent feature on them. Susanne: Jeff turned me on to photographer Michal Chelbin some years ago. I am forever indebted to him for that. Ever see an artist’s work and just go, “Yes”? That is Michal Chelbin for me. I want to make paintings as haunting and beautiful as her photographs. Strangely Familiar was the first series of work to hook me. 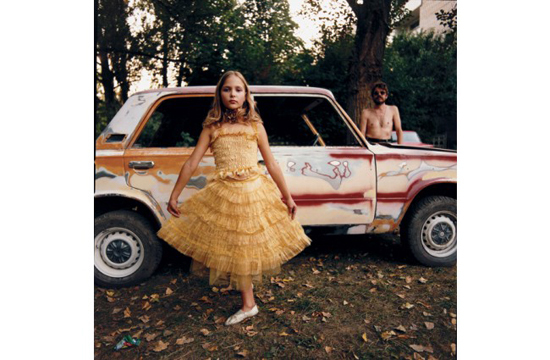 I bought one of those photographs for Jeff for his 50th birthday, Alicia in a Golden Dress, Ukraine, 2005. It hangs in pride of place on our Goodnight-Moon-green living room wall. I look at it every day and am still struck by the enigmatic quality of the image. From her website, about this body of work: “Many viewers tell me that the world discovered in my images is strange. If they find it strange, it is only because the world is indeed a strange place. I just try to show that.” Last Christmas, Jeff got me her book of images, Sailboats And Swans. I had been going to photography as a way of getting compositions down for paintings and, as often happens, Jeff helped me by finding me this new inspiration. About that body of work Chelbin says, “Sailboats And Swans, shot in seven prisons in the Ukraine and Russia over the past six years, explores what it means to be locked and constantly watched—and to be looking back at such a person in this surreal world within a world.” Wow!